As a savvy offshore investor, you already know the value of diversifying your investments. Chances are that the portfolio currently contains a wide range of stocks, bonds and possibly even one or two insurance policies that are helpful with wrapping some of those assets. 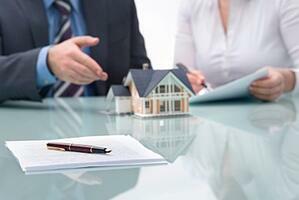 One offshore investment option that you may have overlooked is real estate. The fact is that even if you are looking for a short-term investment, property is still worth considering. When it comes to stability, few investments can beat real estate. In most locations around the world, property tends to appreciate on a continual basis. Even during economic downturns like recessions, property has a better chance of at least holding its value in comparison to other asset types. For this reason alone, choosing real estate as an offshore investment makes sense. Beyond that, there is the practical matter of owning something that is highly likely to gain a great deal of value in a short period of time. Assuming that you choose the right piece of property in the right location, developers and others may find the real estate highly desirable over the next few years. When this happens, you have the opportunity to sell the property at a significant profit. Don’t overlook the value of property as a long-term offshore investment. Perhaps you are thinking in terms of a place to spend your retirement years. When this is the case, focus your attention on countries that offer incentives for retirees to move to the area and boost the local economy. For example, you may find the climate and culture of Belize to your liking. If this sounds like an ideal location to spend your retirement years, talk with one of the local banks about a mortgage for international real estate. Belize mortgages have a reputation for being straightforward and easy to understand. You are also likely to enjoy a competitive rate of interest on the loan, something that is always a good thing. The nice thing about purchasing real estate now is that you can always lease the property until you do retire. This means that between the purchase date and your retirement, it is possible for the real estate to generate enough revenue to cover the cost of maintenance and the mortgage payments. Assuming that you are fortunate enough to have high quality tenants, the property will be kept in pristine condition, and there will be very little to change or update when you are ready to make it your permanent residence. As with any offshore investment, it pays to consider all relevant factors before attempting to purchase any type of property. Look closely at the overall stability of the country in which you wish to purchase real estate. Along with the economic situation, you also want to pay close attention to the history of the government in terms of consistency with laws and regulations. Don’t forget to check on the condition of the real estate market in that country. If that market has been stable for several years and managed to remain that way during different types of economic situations, then properties in that nation are well worth considering. Whether you plan on retiring to an international location or simply want to secure real estate in anticipation of development over the next few years, take your time and determine how the deal would fit in with the activity of your other assets. Assuming the purchase would further your goals and help increase your wealth, the offshore investment is worth considering.